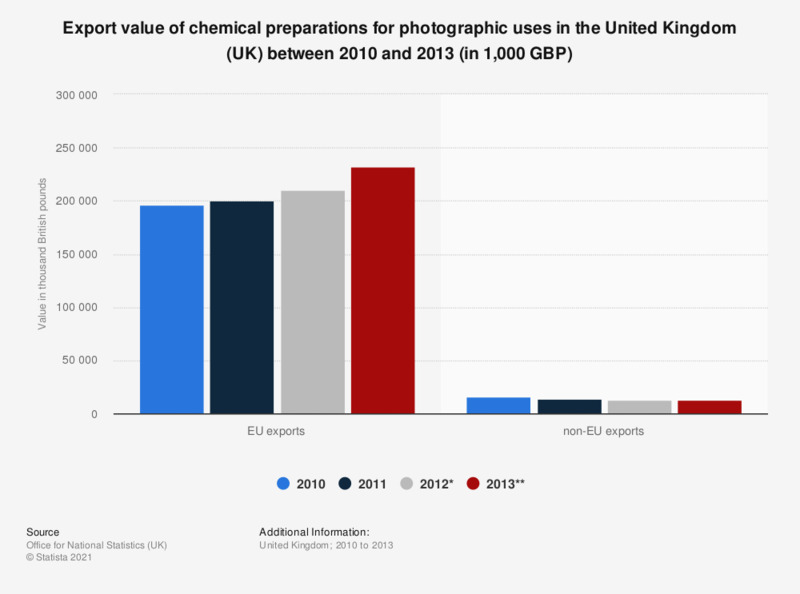 This statistic shows the value from EU and non-EU exports of chemical preparations for photographic uses in the United Kingdom between 2010 and 2013. The EU was clearly an important trade partner for the United Kingdom over this period. EU exports of chemical preparations for photographic uses reached a value of 210.3 million British pounds in 2012. Chemical preparations for photographic uses; unmixed products for photographic uses put up in measured portions or for retail sale in a form ready to use excluding varnishes, glues, adhesives.